The 2011 Lexus GS 350 provides much to like for those in the market for impressive performance teamed with comfort in a classy and luxurious ride. The GS 350 features plenty of power and acceleration wrapped up in a four-door sedan that handles and rides smoothly and comes complete with a roomy, quiet, and top-notch cabin. A 3.5-liter V6 powers the 2011 Lexus GS 350, which has undergone minor tweaks since its redesign in 2006. That V6 puts out 303 hp and 274 lb-ft of torque, and Lexus says it can get from 0 to 60 in 5.7 seconds. The GS 350 comes in a rear-wheel-drive (RWD) Base trim and an all-wheel-drive (AWD) trim. The EPA rates gas mileage for the RWD version at 19 mpg in the city and 27 on the highway. AWD numbers are 18/25. Lexus sets the GS 350 up with a six-speed automatic transmission that can be manually shifted. That a true manual transmission is not available is one of the car’s few drawbacks, reviewers find. As a result, some of the heavy hitters among its competition – the BMW 5 Series and the Mercedes-Benz E-Class – are a better fit for those looking for a more aggressive vehicle that’s always ready for a good road workout. 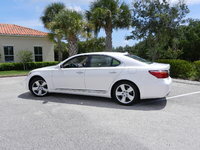 Which is not to say that the 2011 Lexus GS 350 suffers on the highway. It’s a fine performer. Its engine is smooth and refined and provides plenty of power for both accelerating and passing. The cabin is uncommonly quiet, well-designed, packed with amenities, and features the finest materials. Most find the GS 350 quite comfortable, though reviewers note that headroom may be an issue for taller riders, and it gets a bit cramped with three in the back seat. Power heated front seats, a sunroof, power-closing trunk, leather upholstery, dual-zone climate control, keyless ignition/entry, a 10-speaker stereo with 6-CD changer, satellite radio, and USB/iPod interface are among the GS 350's standard features. A couple of option packages up the ante even further. A Luxury Value Edition upgrades the sound system to a 14-speaker Mark Levinson surround-sound setup and adds a hard-drive navigation system, real-time traffic and weather, and a rear-view camera. Other options include ventilated seats, an adaptive suspension, 18-inch wheels with summer tires, and adaptive cruise control with a pre-collision system. The 2011 Lexus GS 350 scores well in safety tests, and the manufacturer packs the vehicle with safety features. Traction and stability control come standard, as do brake assist and electronic brake distribution systems that team with antilock brakes. A knee-blocking airbag under the dash, designed to reduce knee injuries, joins the standard array of front, side, and curtain airbags. Safety Connect offers a one-year free subscription to a system that provides automatic collision notification, stolen-vehicle location, and enhanced roadside assistance. What's your take on the 2011 Lexus GS 350? 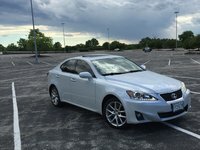 Users ranked 2011 Lexus GS 350 against other cars which they drove/owned. Each ranking was based on 9 categories. Here is the summary of top rankings. 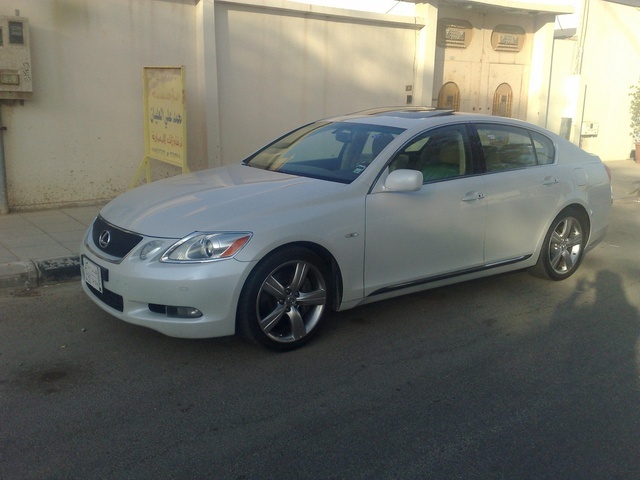 Have you driven a 2011 Lexus GS 350?